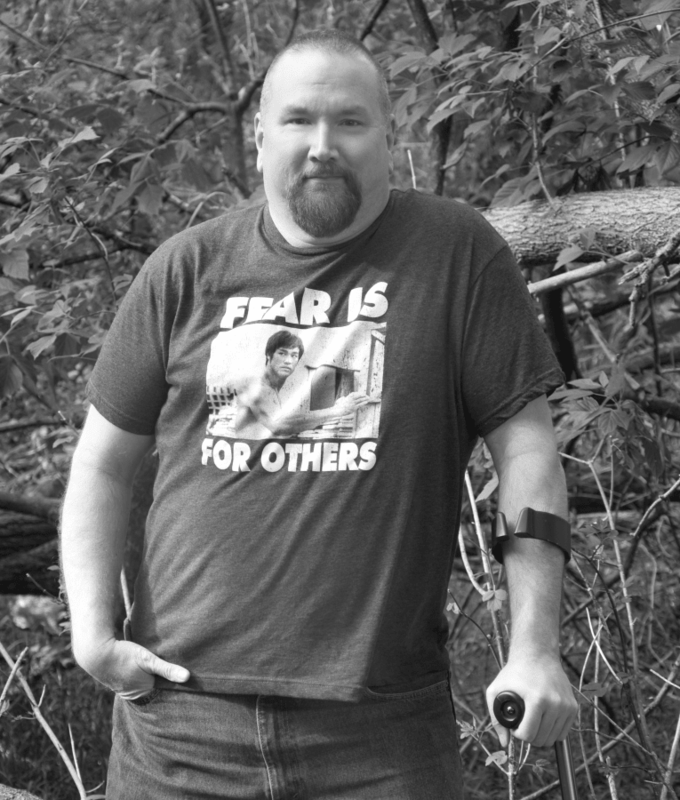 For Erik Vick, an author and self-described “chainsaw-wielding Viking”, rheumatoid arthritis (RA) is just another villain to defeat. This beast he battles has tried to take many things away from him, but writing and humor are two things he refuses to give up without a serious fight. It why he continues writing with RA despite the challenges. By creating his own personally curated world, Erik uses his creativity to keep RA as a supporting role, instead of a main character. Erik wasn’t always forced to wage a war against RA. The disease struck without rhyme or reason. “It hit me over the head with the weight of an anvil,” he explains. Seemingly out of nowhere, his shoulders and neck flared to the point where he couldn’t even turn his head. True to form, Erik and his wife jokingly referred to his stiff neck as him “being Batman”. He even dubbed his new diagnosis as the “Personal Monster”. But jokes aside, Erik knew he had to get to the bottom of the mystery. In 2010, he was officially diagnosed with rheumatoid arthritis and a new chapter of his life began. Before RA made itself a permanent character in Erik’s story, his life was very different. “I was an active guy–a powerlifter, a gear-head, a bicyclist, a teacher. Once I got sick, all of that was gone within a year.” One by one, he was faced with the difficult decision of letting go of some of his favorite hobbies. “When RA started taking things from me, it was pretty grim.” He recalls that period of his life as a very dark time. While Erik did not necessarily have his health to count on, his passion for writing remained steadfast. For years, reading and writing were important aspects in Erik’s life. As a young adult, he toyed around with writing fiction, but was more heavily involved in academic writing after receiving his PhD in Artificial Intelligence. “That kind of writing, however, bores me. There are no demons, no psychotic kindergarten teachers, nothing like that. Everyone likes a good psychotic kindergarten teacher, right?” he jokes. Thus, the door to fantasy and fiction novels burst open for his writing. It is hard to push past the pain and fatigue, however, Erik realized that the more sedentary he became, the more he struggled. “If I play the waiting game: waiting for a cure, waiting for the next dose, waiting for the next show or movie, etc., my RA-monster kicks it up a notch.” he says. He knew he couldn’t sit around waiting for better days that weren’t guaranteed. “When I’m feeling productive, when I feel like I’m contributing something to the world, I feel better.” Although Erik knows productivity can’t take away his rheumatoid arthritis, it helps him to proactively manage it and gives him a sense of control over his “Personal Monster”. Auto-inflammatory diseases like RA often manifest in joints like the ones in your hands, so you might wonder how it’s possible that Erik manages to work in a field that relies heavily on the wrists and hands. The answer is that it did not come overnight: it took years for Erik to perfect his set-up, which he now refers to as “Death Star Command”. Even now, he admits it’s still a work in progress. Instead of typing with a standard keyboard, Erik uses a hyper-sensitive mechanical keyboard and a programmable mouse. These tools eliminate the need for unnecessary movements of the hands. However, as most RA patients can understand, there are days where even this is especially difficult. When he is faced with painful joint days, he uses a speaking software and microphone: As he speaks, the software listens and types out what he says. However, there are also days where inflammation affects his vocal chords, so he alternates techniques accordingly. The right chair was also of utmost importance. He needed a place to sit that provided him with the right amount of comfort and support, as sitting for extended periods of time can be a literal pain. “Even with all these gadgets, I only get up to three productive hours on the computer. While that’s not as much as I want, it is enough.” His writing set-up is a true labor of love, a testament to his passion for his profession. Want to get in to writing with RA? 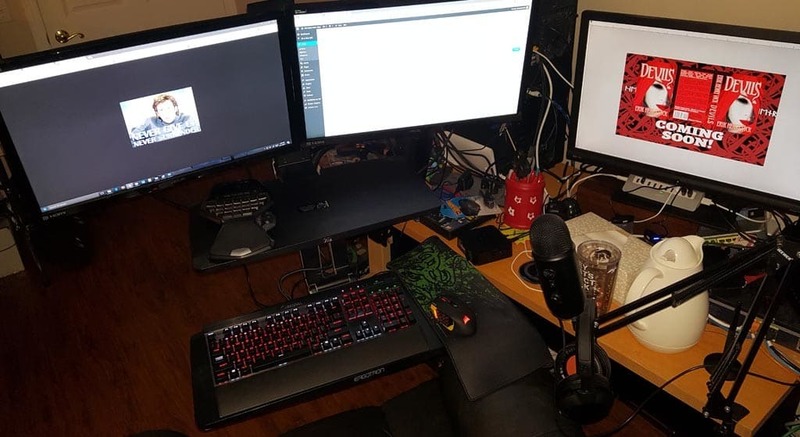 Check out Erik’s full setup at erikhenryvick.com for arthritis-friendly computer software. With several books out already, Erik has no plans to quit writing any time soon. He even released his most recent book, Errant Gods, back in October. 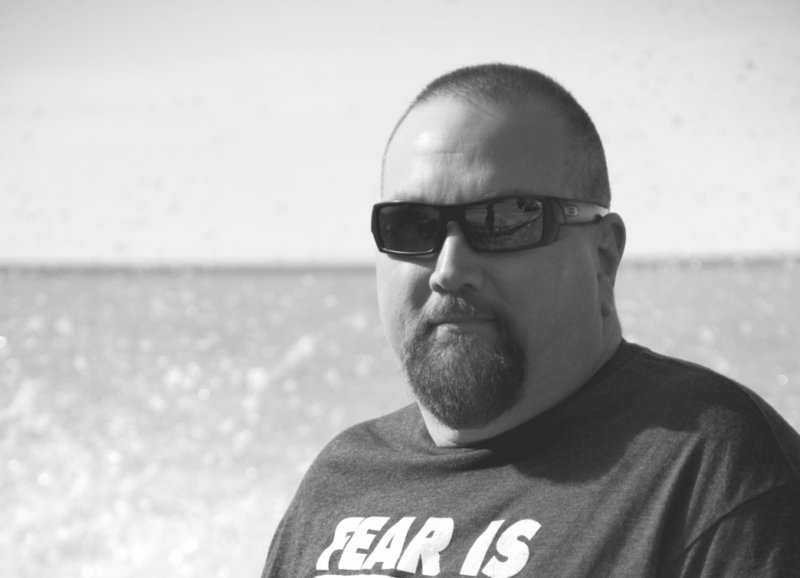 Erik drew from his own personal experiences with his disease to help guide him in his storytelling for this book. “My fiction can be dark, as my life can be dark at times, but living with RA has taught me that darkness and light go hand in hand.” he explains. With “personal monsters” and battles to defeat, Erik’s fantasy stories parallel his own life. And while his body may be waging war against him, Erik is waging a war right back. Help find a cure for people with rheumatoid arthritis by making a donation today! As a writer myself suffering from RA, fibro, and Sjögren’s, this is truly inspirational. Thank you. If you can do it, I can too. I was diagnosed with RA in 2014 and Multiple Sclerosis in Feb 2017.. I too feel like the majority of my life has been ripped away. … Thank you for the inspiring article! .. I believe some of the greatest art is created in the experience of pain..